1. 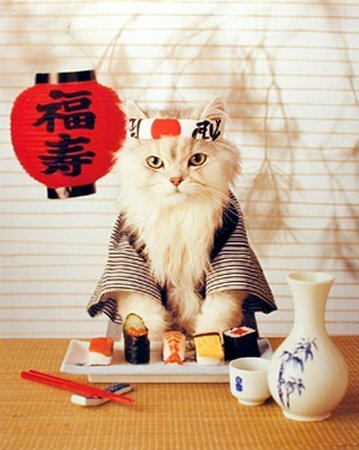 The hardest thing about preparing sushi is not eating all the fish before the guests arrive. Don’t be tempted by that tasty, rich, fresh, juicy, tender fish. 2. 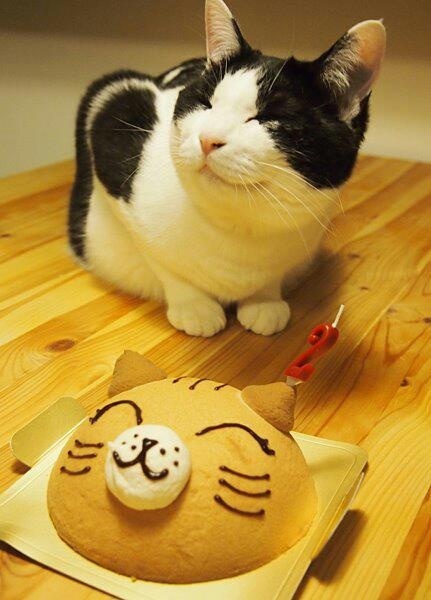 Oh come on, just a little taste. You’ll love it I promise. 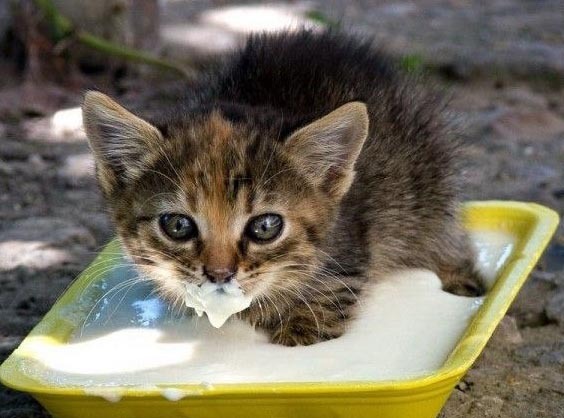 Just one incy-wincy kitten sized taste. 3. 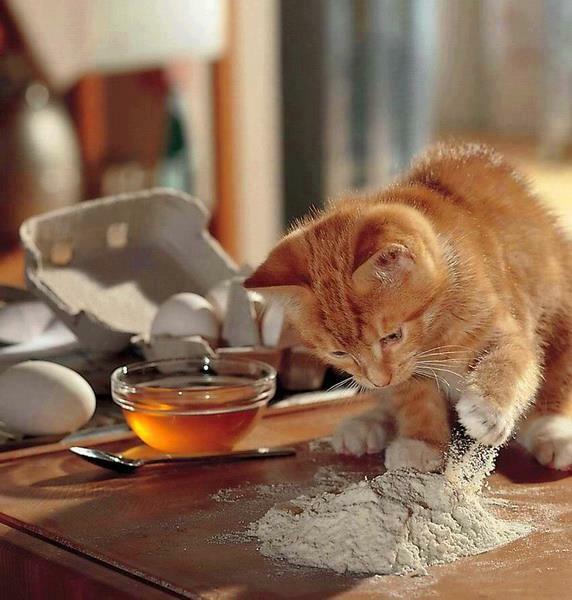 Only the tiniest of paw-pinches should do the trick for this recipe. 5. One invaluable tip my nonna from Bologna taught me was to always warm the pasta before cooking. It gives it the most amazing texture. 6. 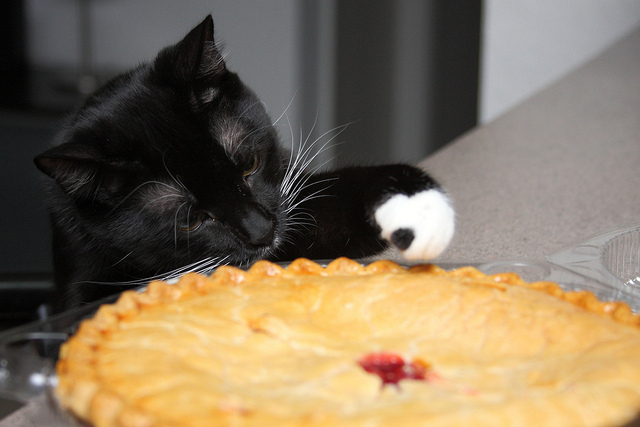 Once the pastry feels firm to the paw and looks shiny, then the pie is ready to be enjoyed. 7. It’s really important to make sure there are no lumps. 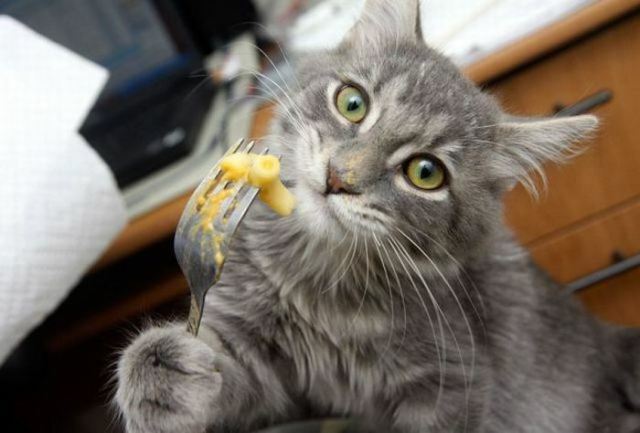 Any lumpy bits can be stored on your chin and whiskers for later. 8. 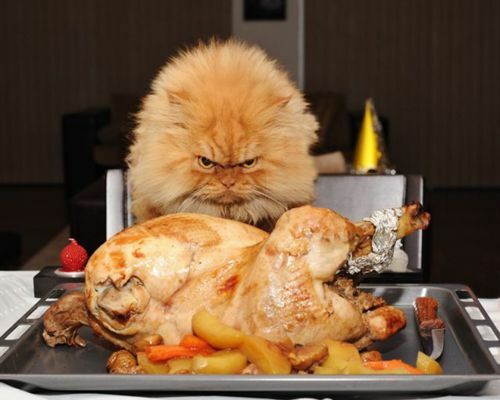 Excuse me but this roast DOES NOT need more seasoning! 9. 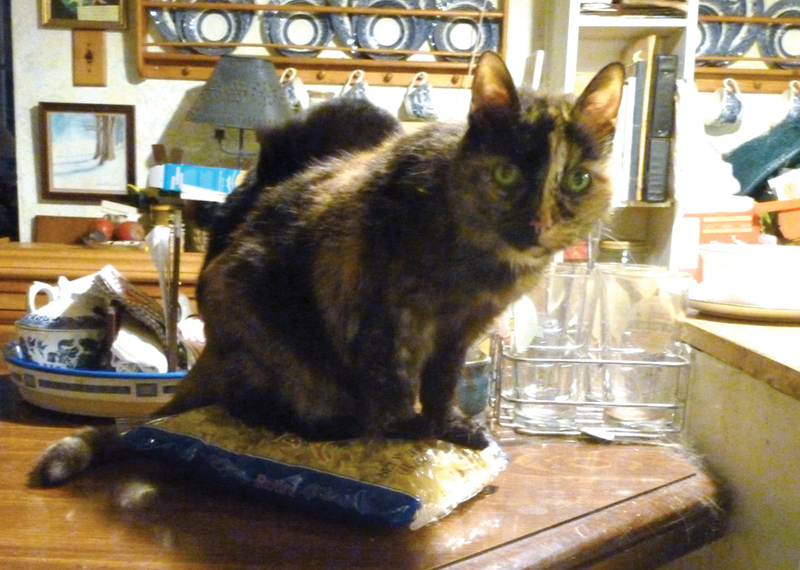 Oh hi, umm, you’re right there. 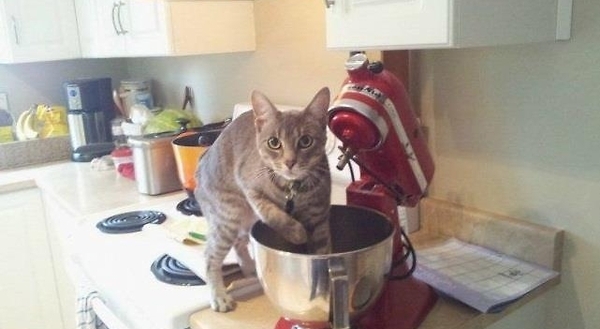 So, you’re meant to put your paws right in the cake mix. I’ve seen Nigella do it I swear to you. 10. Job well done indeed. 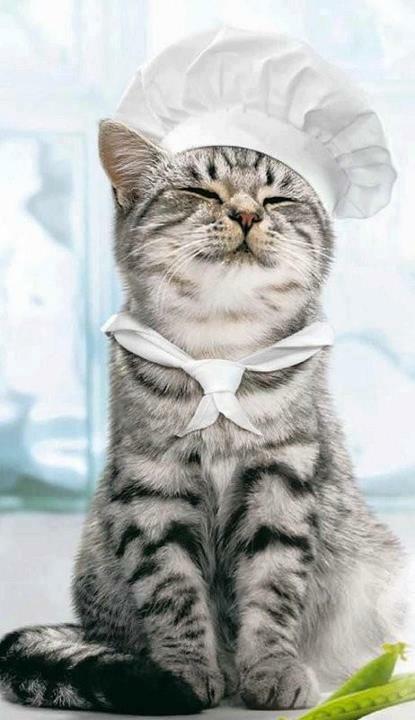 Happy kitties means a happy chef.